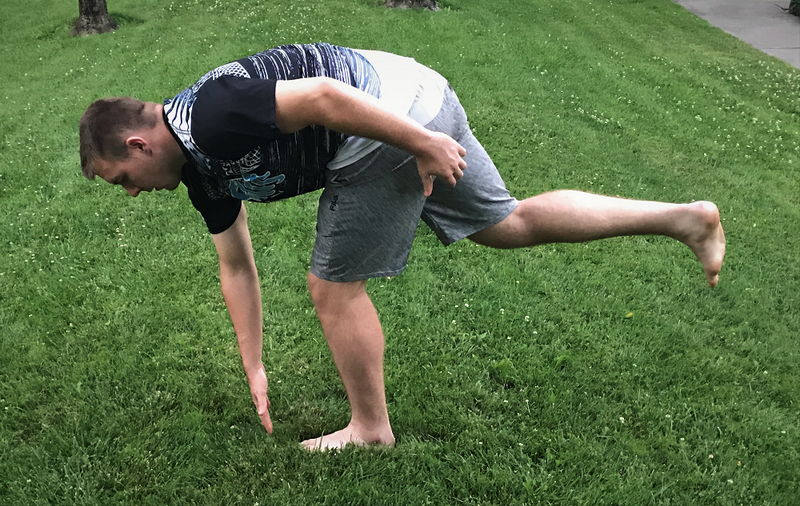 Standing One Leg Toe Touch drill is great for practicing your balance and for strengthening and controlling the glutes, abdominals, and lower back. The gluteal muscles are a group of three muscles: the gluteus maximus, gluteus medius, and gluteus minimus. The gluteal muscles are a group of three muscles: the gluteus maximus, gluteus medius, and gluteus minimus. They are responsible for the abduction, extension, the external and internal rotation your hips. The glutes are crucial for jumping, speed sprinting, and the ability to quickly change direction–all of which you need to master to be an explosive rugby player. Stand on your left leg with your right knee softly bent. Keep your back straight and your shoulders back. Bend forward and touch the ground with the tip of your right hand with your bent right leg slightly rising behind you. Pull your body back up to a standing position and repeat this side until you begin to lose form. Return to standing with both feet shoulder width apart. Start the other side. Stand your right leg with your left knee softly bent. Keep your back straight and your shoulders back. Bend forward and touch the ground with the tip of your left hand with your bent left leg slightly rising behind you. REMEMBER: Before starting any new exercise routines please check with your medical provider and clear your new exercise plan with them before beginning. This is especially true if you haven’t been exercising for some time or are recovering from an injury. I am not a doctor, nor do I play one on T.V. 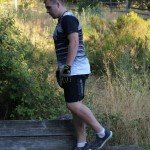 Need help getting started towards your power rugby fitness goals? The Powerhouse Rugby weekly newsletter seeks to supply you with the top rugby fitness drills, nutritional suggestions, and advice from coaches and players to help make your rugby goals a reality. 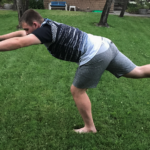 When you sign up for the newsletter, we’ll send you our free training guide and workout tracker which includes this exercise drill and more. Click on the image to the left to sign up today! 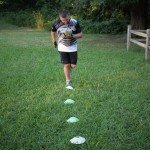 Coach Terry is a certified USA Rugby coach. As a rugby player, he played for the original Santa Rosa Men’s Rugby Club. Prior to joining the Santa Rosa Men’s Rugby Club, he played football and rugby at the Santa Rosa Junior College. Do You Know What Are the Different Rugby Positions? Some of the posts and pages on PHR contain affiliate links or links to purchase products or programs from PHR contributors. This means PHR or the contributor may make a small commission if you make a purchase. The PHR affiliate links help offset the cost of hosting this website and the contributor links help support Brian Cox’s college fund. 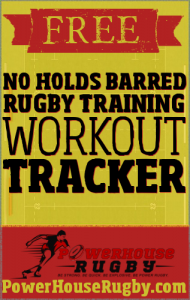 Please check out the PowerHouseRugby Privacy Page for more details.